Whether you're trail-riding or working around the farm, you'll appreciate the features on the FourTrax Rancher AT. 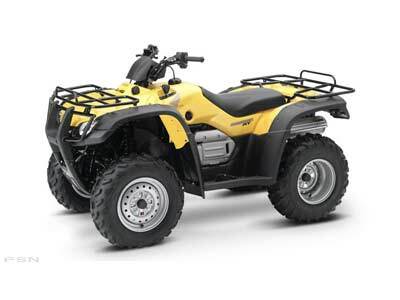 It combines our revolutionary Hondamatic transmission, a robust 400cc engine and Traxlok, providing the choice of two-wheel-drive or four-wheel-drive, into one of the most innovative, technology-packed ATVs in the 400cc class. It's ready for anything. Recommended for riders 16 years of age and older. Honda recommends that all ATV riders take a training course and read their owner's manual thoroughly.